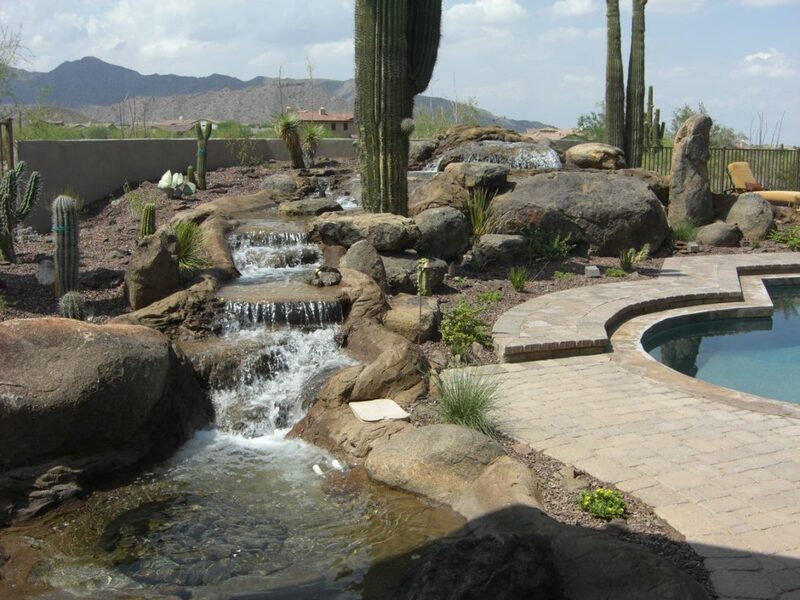 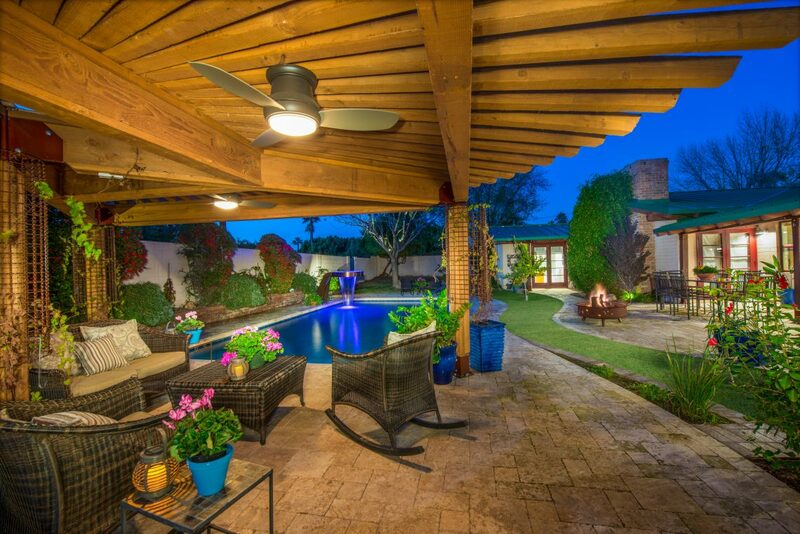 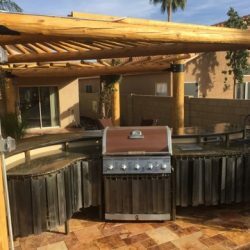 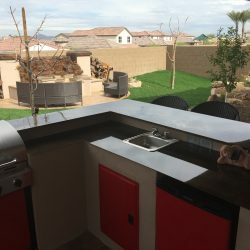 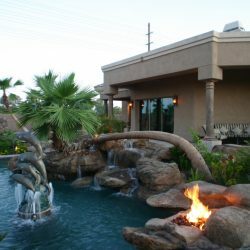 Patio Design Phoenix: What Makes a Patio Great? 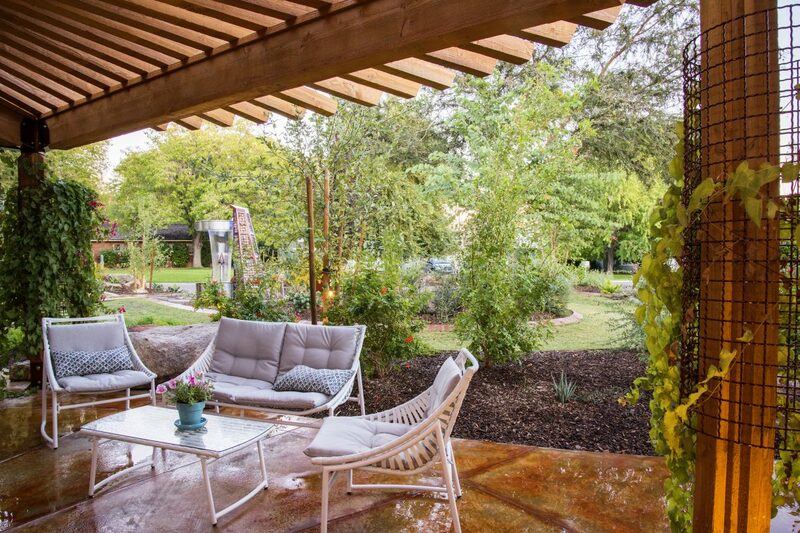 What Makes a Patio Great? 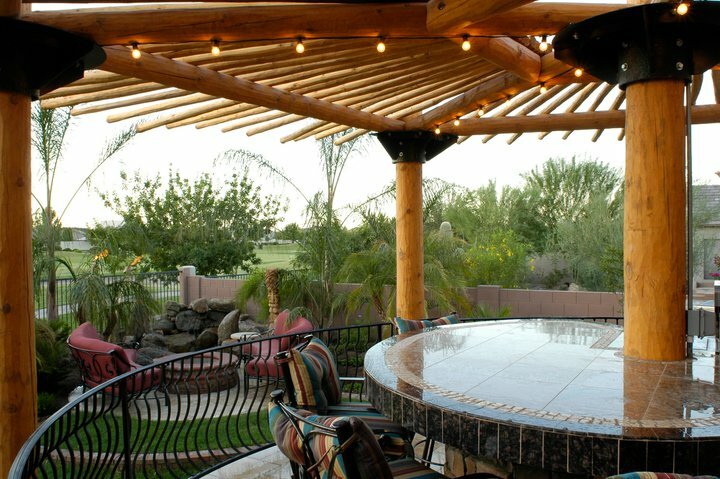 Every Phoenecian knows (yes, it’s right; we consulted Google) that this time of year is perfect for patios. 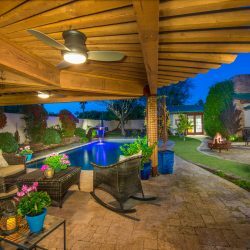 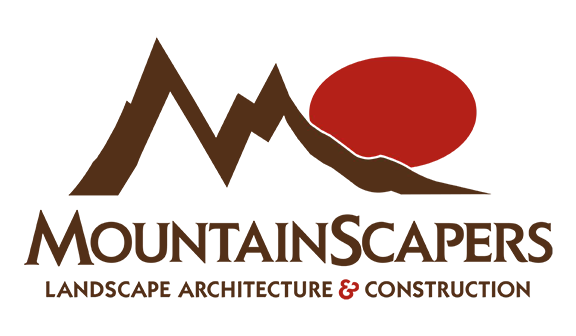 Whether it’s reading, sleeping, enjoying a beer or having a small party, patios are the chosen location for whatever leisure activity that you choose. 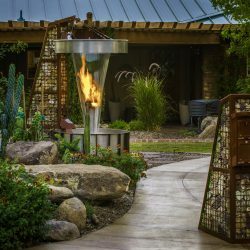 Moving your favorite relaxation technique from indoors to out can be less-than-optimal, however, if your patio space leaves you with a feeling that something is missing. 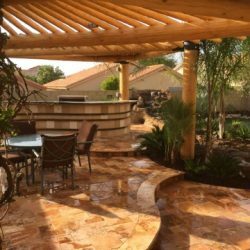 Privacy – For all that is relaxing, a certain level of privacy was key to the best-functioning and most enjoyable patio areas. 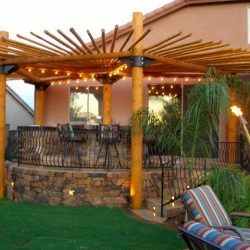 Create false walls with shrubbery or use trellises, bamboo panels and fencing to create a boundary between you and your neighbors. 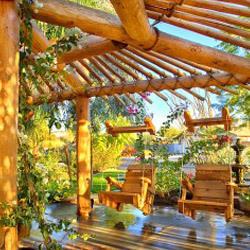 Relaxing seating – The best patio areas have ample seating that invites guests to kick back while looking fabulous. 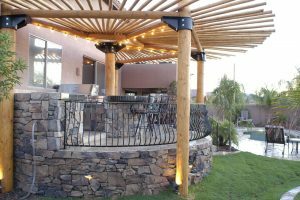 Make it somewhat of an extension of your home by making it super comfortable. 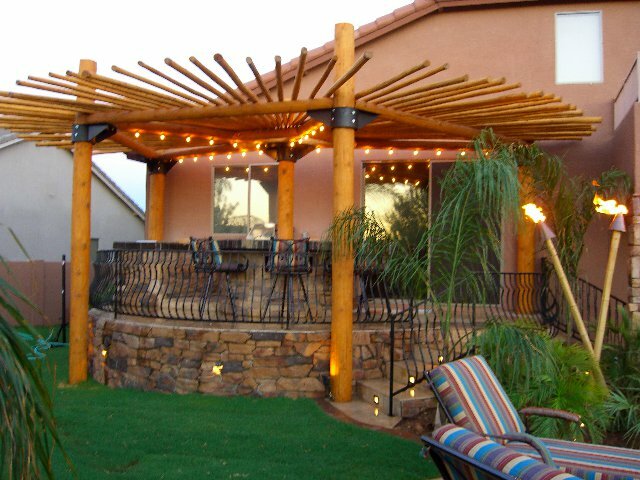 Cushions, pillows and shading add to the plush feel. 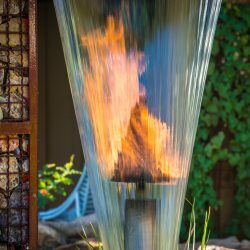 Bring in the elements of nature – There is just something alluring about fire and water elements. 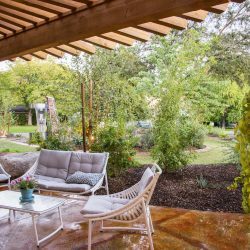 Make your outdoor patio both attractive and peaceful by incorporating the two natural elements that people are most drawn to. 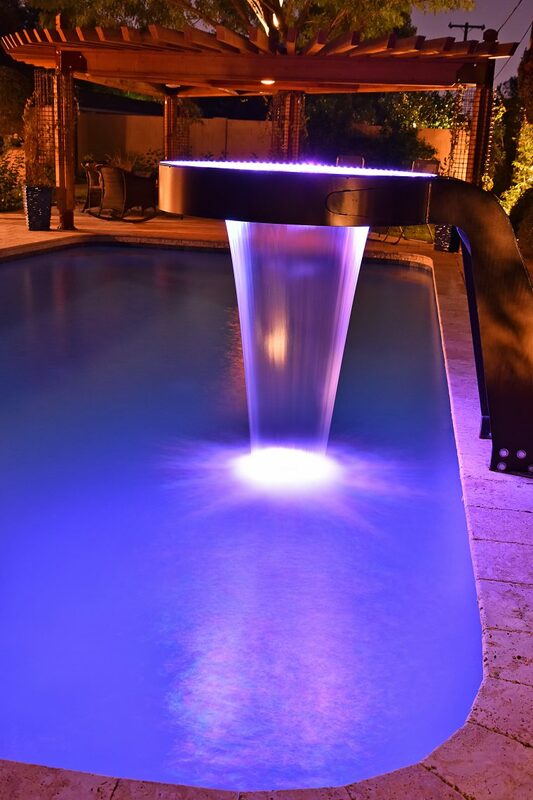 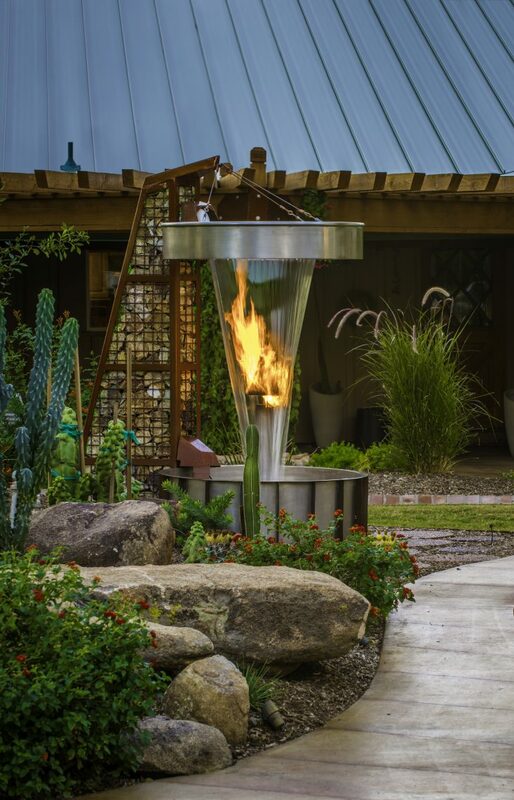 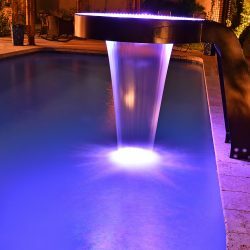 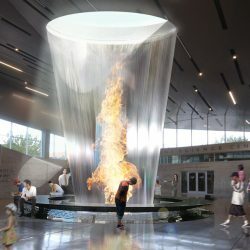 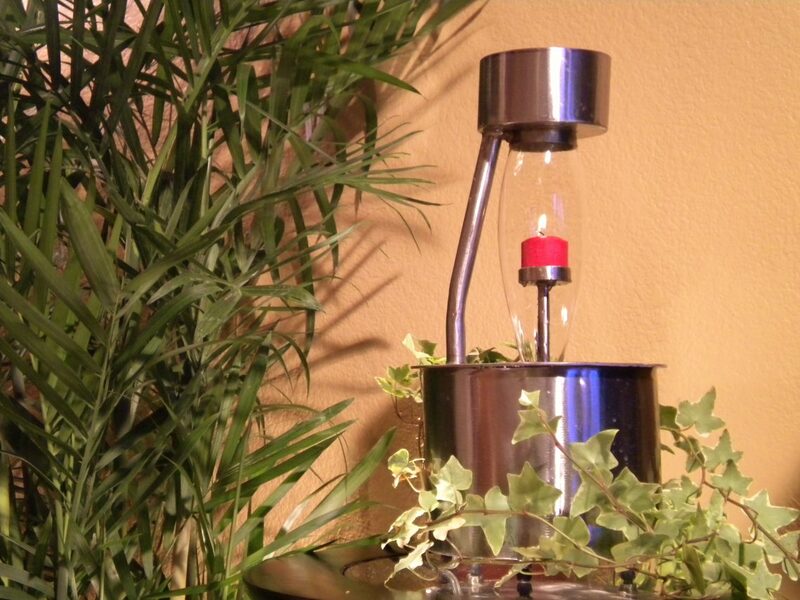 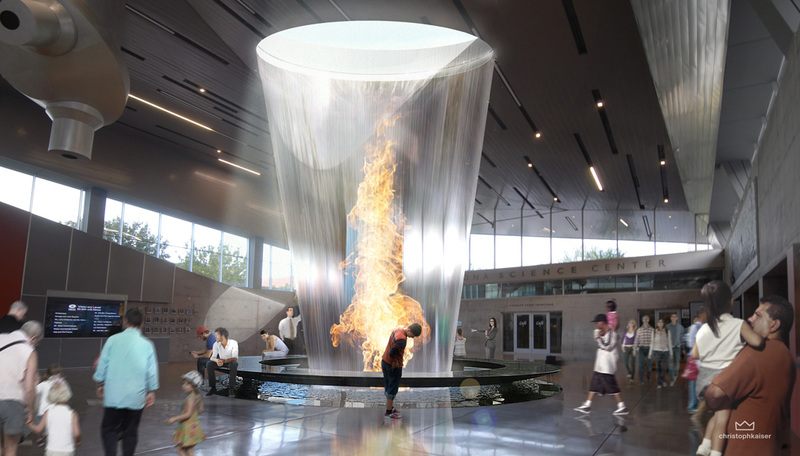 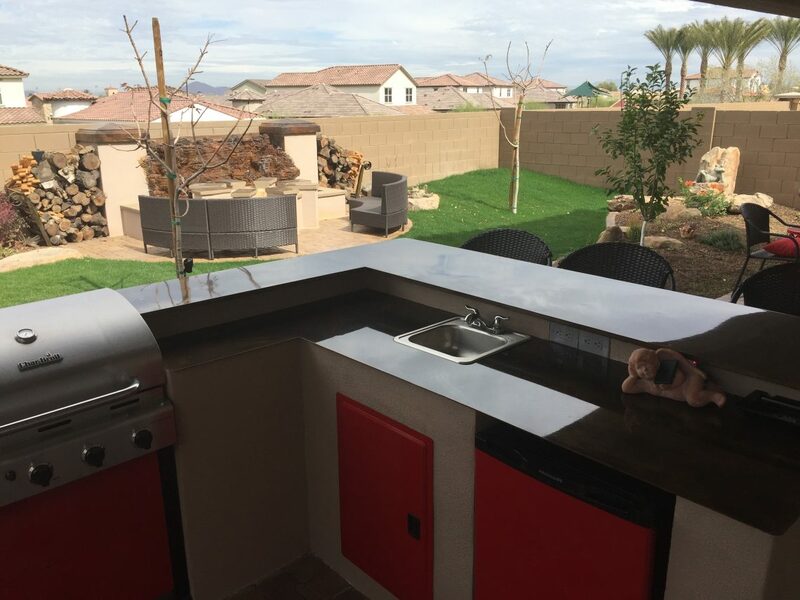 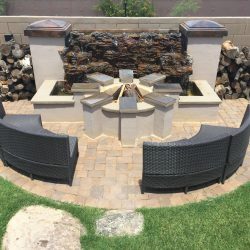 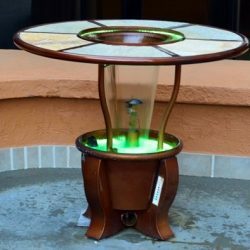 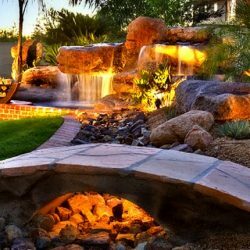 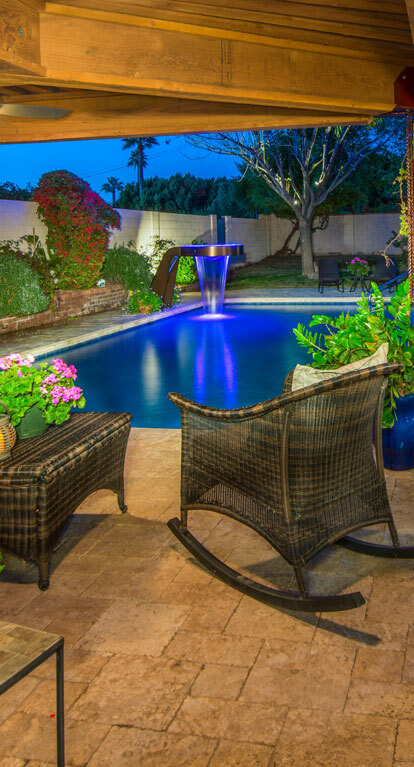 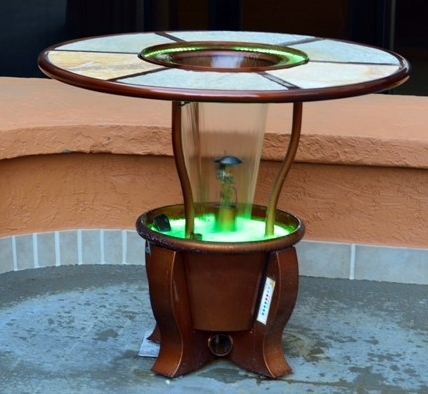 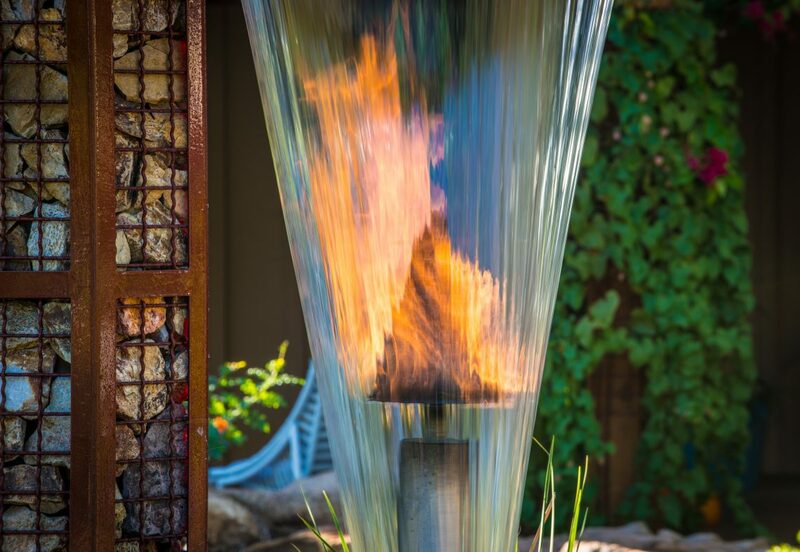 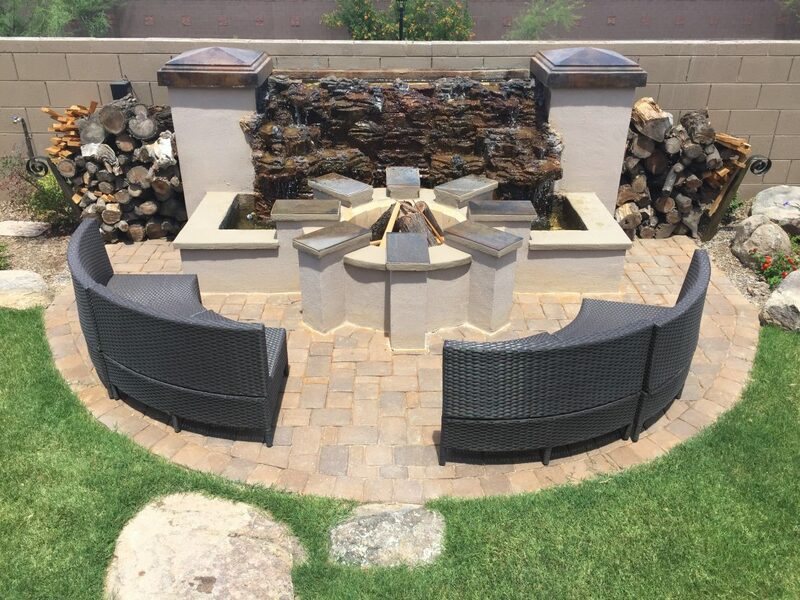 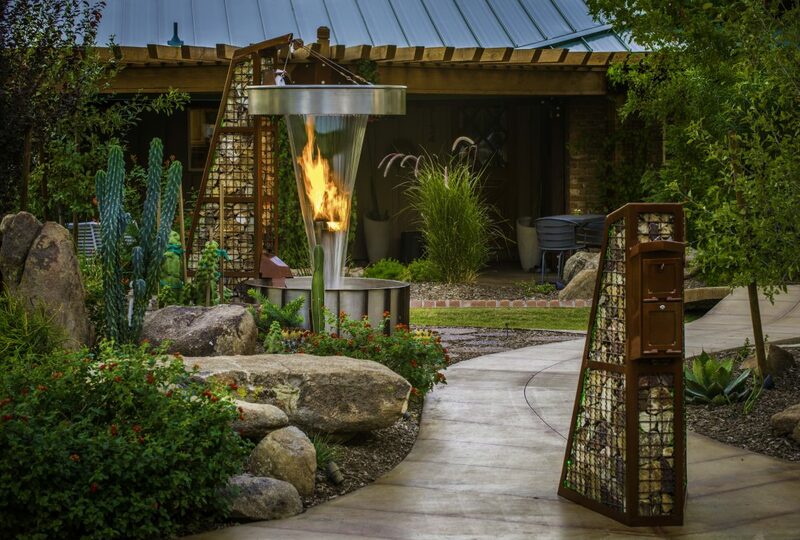 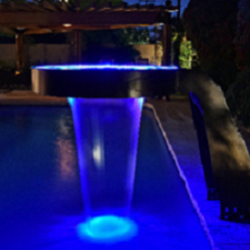 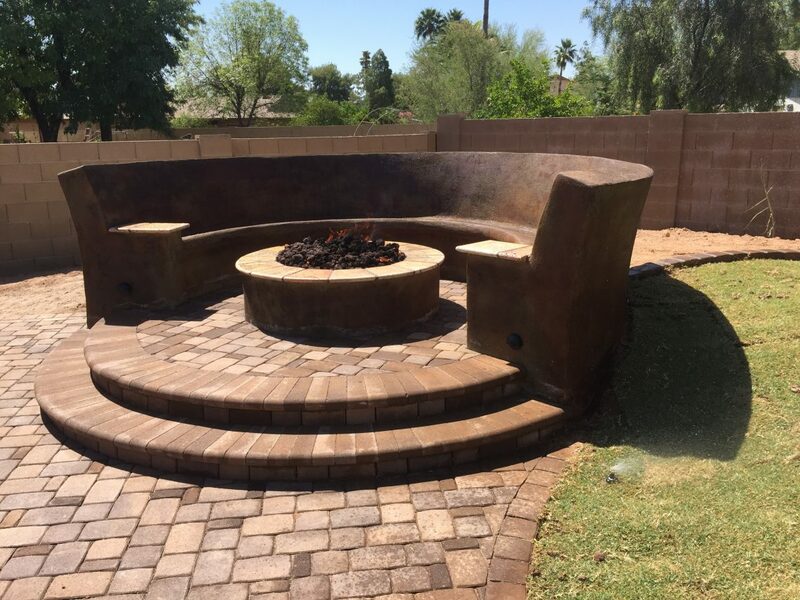 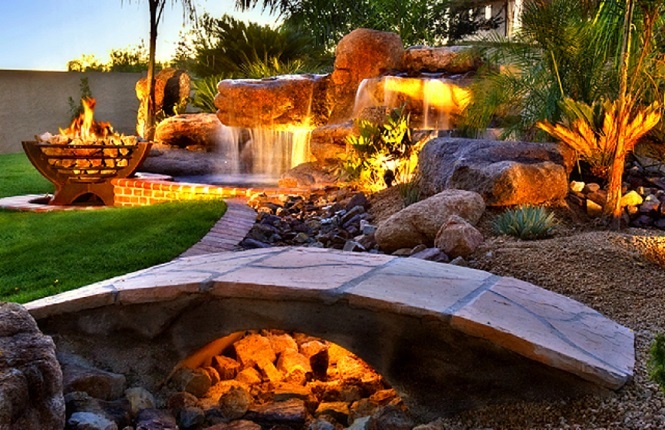 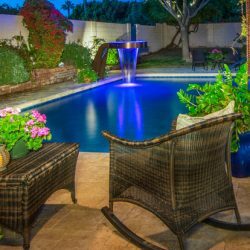 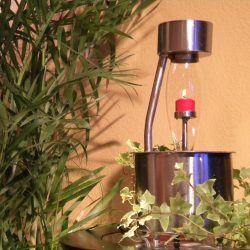 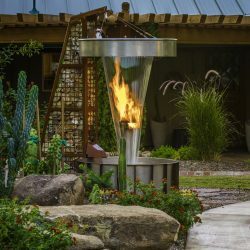 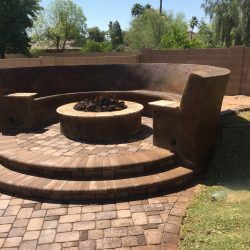 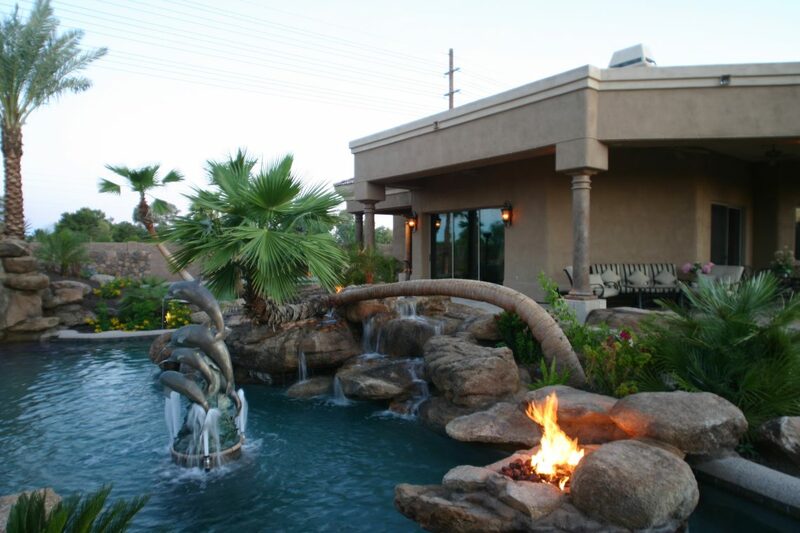 A unique water fountain provides a calming background while fire pits add both comfort and beauty to any Phoenix night spent under the stars. 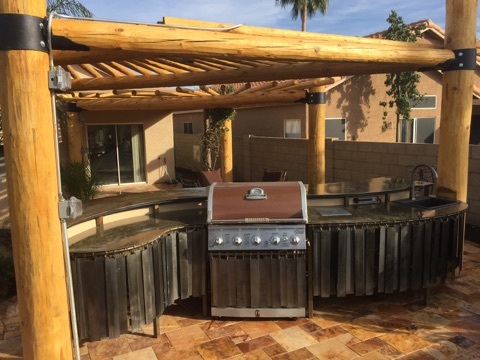 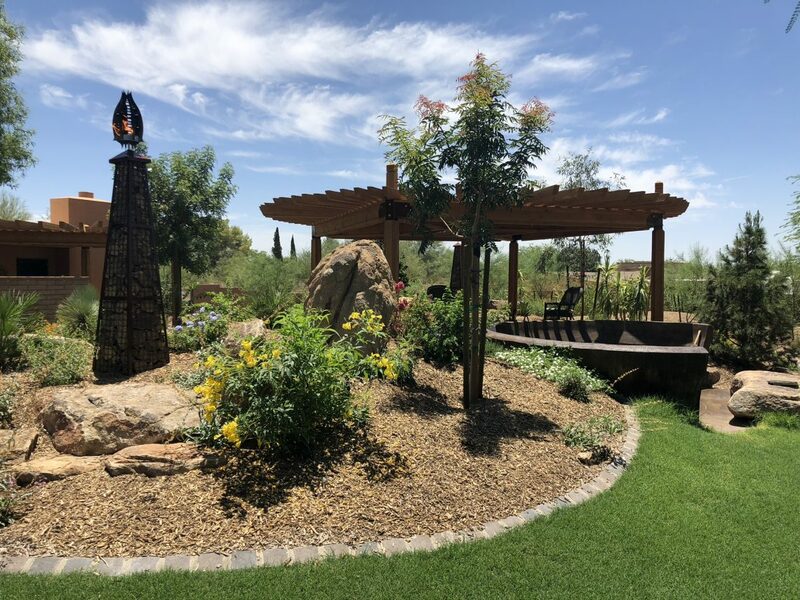 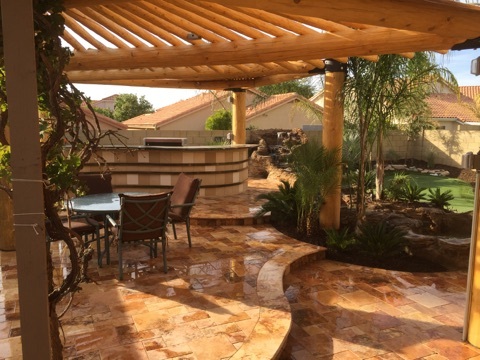 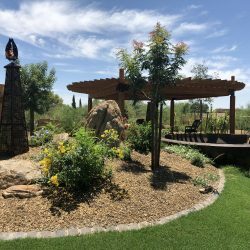 Keep it shady – Every desert patio absolutely requires shady areas. 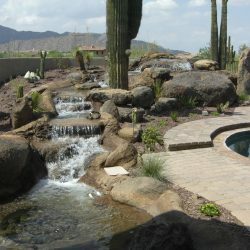 If you plan to spend anytime outdoors at all in your backyard, you must provide relief from the sun. 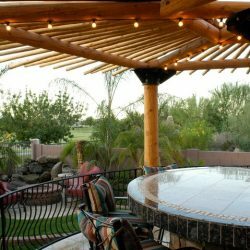 Shade structures, patio covers and outdoor curtains can help block out some of the day’s harshest rays.